After ISIS claimed responsibility for the Friday terror attacks in Paris that killed more than 120 people, Muslims around the world are speaking out against Islamic extremists. 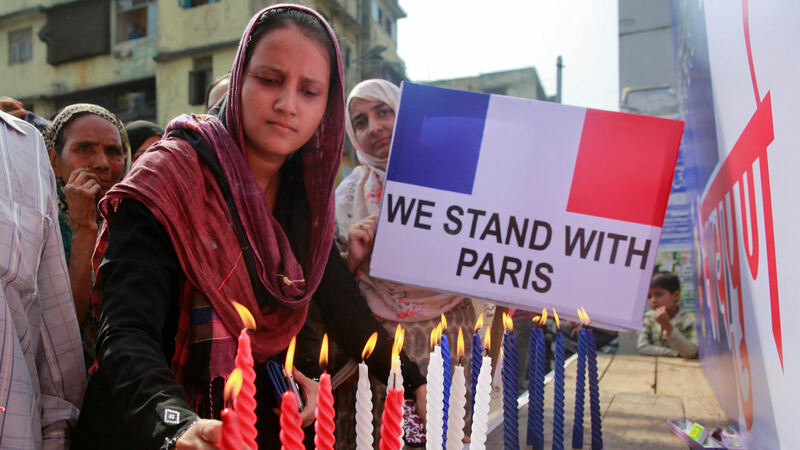 In Mumbai, India, Muslims gathered Monday to protest the violence, displaying signs that read, "We hate ISIS terrorism" and "We stand with Paris." Protestors also trampled on an effigy of a member of ISIS. 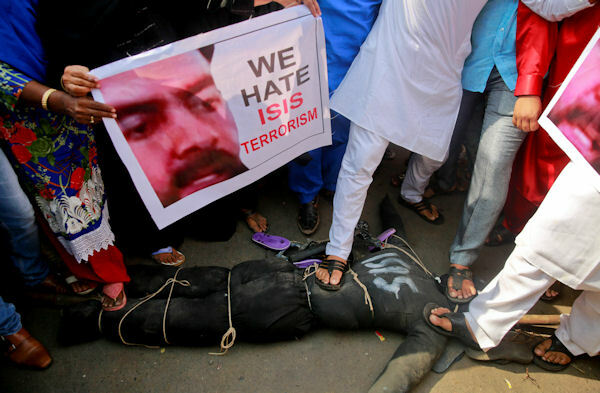 Indian Muslims trample on an effigy of the Islamic State group Monday in Mumbai, India. Online, a post about a conversation between a Muslim Uber driver and an Australian singer went viral after the singer, Darren Hanlon, recounted it on his Facebook page. "'I'm a Muslim,' he said almost as a confession, 'and this is not what I was taught as a child,'" Hanlon recounted. Meanwhile, Muslims and others are revitalizing the "Not in My Name" campaign that seeks to show how ISIS misrepresents Islam. The campaign was started in Sept. 2014 by The Active Change Foundation, a British organization dedicated to reaching out to youth who are at-risk of joining violent extremist groups. "The ISIS does not represent Islam or any Muslim," young Muslims explain in the campaign video. "It's totally un-Islamic." In the wake of the attacks, the foundation was again vocal against terrorism committed by ISIS. Critics of the campaign say that it should not be necessary for Muslims to clarify that ISIS does not represent their religion.